Fields, roadsides, railroads, fencerows, moist thickets; wet meadows, marshy ground, river banks, stream margins; fens, shores, floodplains, moist savannas, borders of conifer swamps and forests, dry rocky ground. 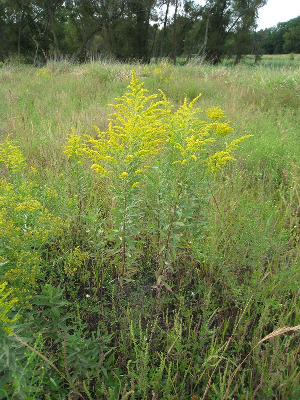 Concentrated in the southeastern portion of Michigan are plants with the undersides of the leaves puberulent across the entire surface and with the stems tending to be pubescent all the way to the base. These are var. hargeri Fernald. Typical var. canadensis has the undersides of the leaves glabrous or at most puberulent on the principal veins, and is glabrous on the lower half of the stem; it is found almost entirely in parts of the state other than the southeastern region. MICHIGAN FLORA ONLINE. A. A. Reznicek, E. G. Voss, & B. S. Walters. February 2011. University of Michigan. Web. 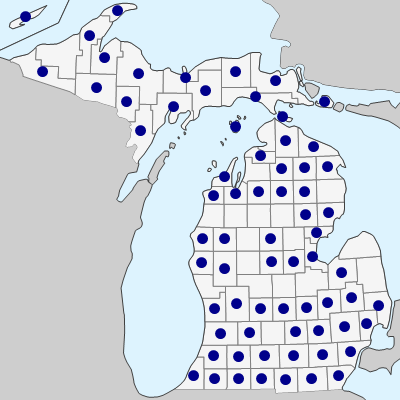 April 22, 2019. https://michiganflora.net/species.aspx?id=454.